A new time-lapse video released by NASA shows how Earth has changed over the past 20 years. The clip reveals how snow coverage changed from year to year, advancing and receding from the polls according to the seasons. 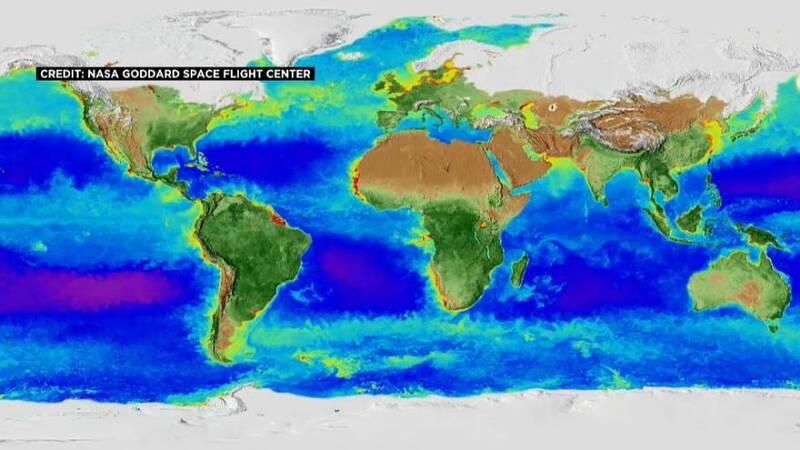 It also shows changes in vegetation and phytoplankton concentration (in purple) on the ocean’s surface. The images were released to mark the 20 years since NASA satellites have continuously observed the physical properties of our planet. This uninterrupted collection of data from multiple satellites helps scientists to tackle important questions on how ecosystems react to human activity. While being able to observe the changes to our planet is a reason to celebrate, seeing the effects of climate change might be less of an excitement. “The space-based view of life allows scientists to monitor crop, forest, and fisheries health around the globe. But the space agency’s scientists have also discovered long-term changes across continents and ocean basins,” the official statement reads. The satellite images show the Arctic getting greener, as shrubs expand their range and thrive in warmer temperatures. Rising sea-surface temperatures have staggered the growth of phytoplankton, an organism that helps in the removal of carbon dioxide.